VAT Pulse A blog about local and foreign VAT matters, best practices and tips from practioners. This page deals with refunds for cross-border transactions, it does not address VAT refunds where both vendor and customer are based in the same country. If you are travelling to or conducting business with companies in Slovakia, you may be eligible to claim back Slovakian VAT. We have compiled everything you need to know on this page about VAT refund eligibility, Slovakian VAT rates, deadlines for claiming the VAT back, the common services with refundable VAT and the processes to recover Slovakian VAT. Who can Claim VAT Refunds? If you are a VAT registered company in an EU Member State and have conducted cross border transactions in another Member State where you are not VAT registered then you are eligible to recover the VAT according to Articles 170-171a VAT Directive and following the full rules laid out in Directive 2008/9/EC . If you are a VAT registered company established outside of the EU and you are charged VAT on business activities conducted in an EU Member State where you are not VAT registered, then you are entitled to deduct the VAT through means of a refund from the country where the VAT was paid according to the 13th Directive (69/59/EEC). Everything you need to know about recovering taxes from cross-border business activity and travel. A company can claim back VAT from the previous VAT year, no extended deadline is available. An EU claimant can claim VAT from any other EU Member State and recover the VAT according to the Member State of Refund’s local VAT legislation. For non-EU claimants and/or refunds from non-EU Member States, some countries will only grant a VAT refund if the country where your company is registered offers similar VAT refund arrangements, the so-called rule of reciprocity. Slovakia applies the Rule of Reciprocity which means the Slovakian authorities can grant refunds to non-EU businesses from Switzerland, Norway and Serbia. Each countries rules and regulations vary. 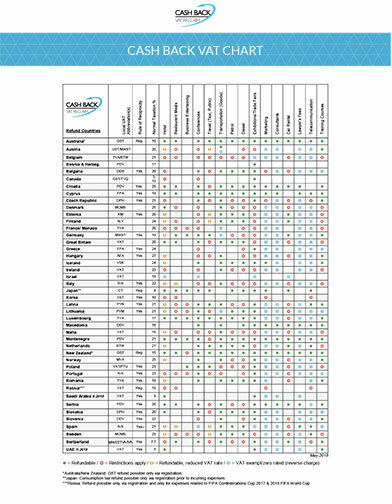 Our VAT chart gives you details about the recoverable VAT in the different countries. We have local offices to assist you further. 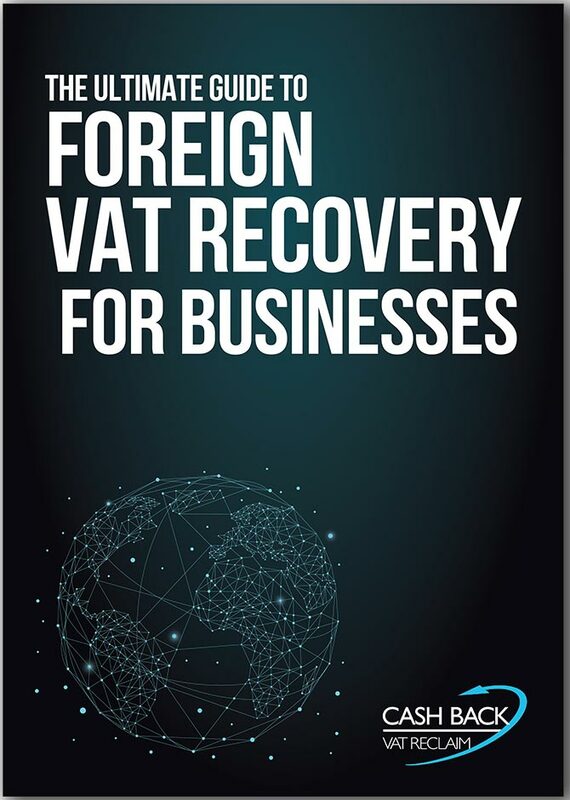 Take the 1st step towards maximising VAT refunds. Tel: 41 41 740 31 56. Fax: 41 41 740 31 58.